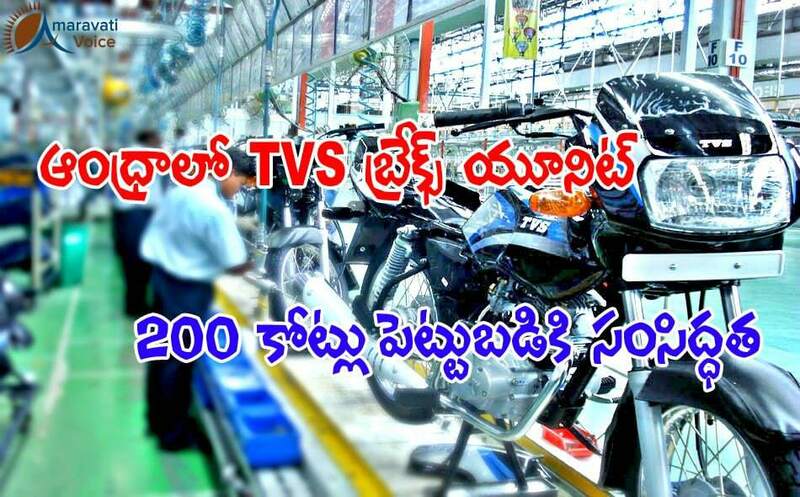 TVS group is ready to invest Rs.200 crores in Andhra Pradesh. It is going to set up a breaks unit in Andhra Pradesh. In a meeting with TVS executives, Chief Minister N. Chandrababu Naidu discussed the investment opportunities for automobile companies in Andhra Pradesh and also elaborated on the sector-specific policies of the government. TVS Group executive Mr.Ramanujam said that, they would set up a break unit in Andhra Pradesh with around Rs.200 crores. Very soon an MoU would be signed.